Use ALL of your brain to accomplish ALL of your goals! Want to make the best use of your own natural resources? To be able to use your whole brain for personal and professional success? This superb audio recording will help to balance your mind and unlock your inner resources ? in just MINUTES! 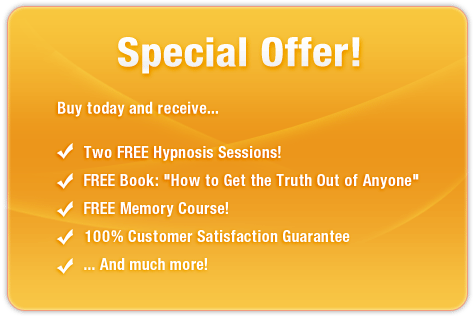 The Whole Brain Thinking session uses the latest in subliminal messaging technology to deliver thousands of positive, mind-expanding, subliminal messages directly to your subconscious ? allowing you to maximize your potential quickly and effortlessly! Don?t let half of your brain sit idle! 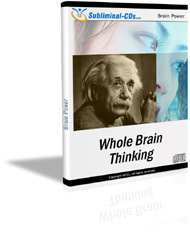 Purchase Whole Brain Thinking TODAY and enjoy a balanced and efficient brain right away!